The Nothing Compares 2 U singer married Barry Herridge in Las Vegas in early December, but the couple separated after just 16 days. Sinead, 45, has now announced that the couple are back together. She wrote: "Guess who had a mad love making affair with her own husband last night? Yay!!! we decided to be boyfriend and girlfriend again and stay married. "But we did rush so we gonna return to boyfriend girlfriend and be sickeningly happy and go counselling and move in... like regular people... but stay married and we all in love... so me all happy!! me love me hubby... he love me". 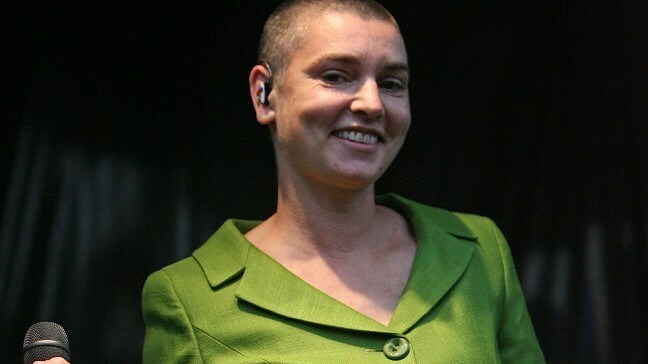 Sinead previously said that the marriage was "kyboshed by the behaviour of certain people in my husband's life" and that she ended their union to set him "free".